Not only is the pomegranate packed with antioxidants, it is beautiful too. If you have only seen the pomegranate in the store – learn what the flowers and leaves of the pomegranate tree look like. 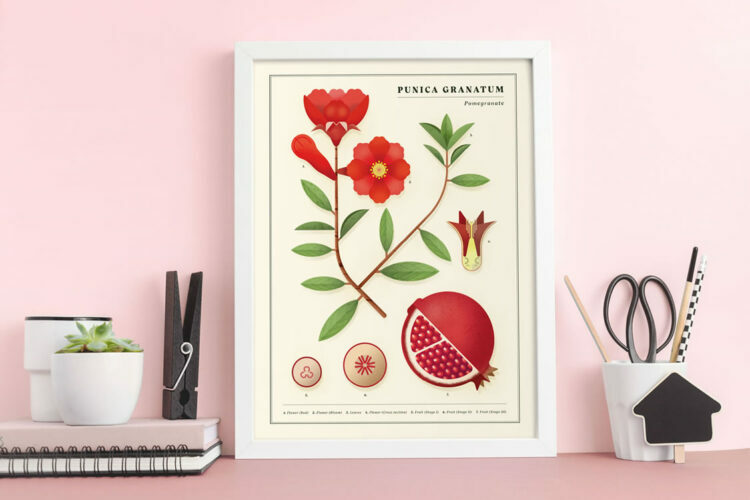 Decorate with a botanical poster with fantastic colours created by our friends at Nature Press. Harmoniously composed illustration in warm, clear colours showing a dissection of a pomegranate. This modern version of the classic botanical poster makes a beautiful picture in any children’s room. 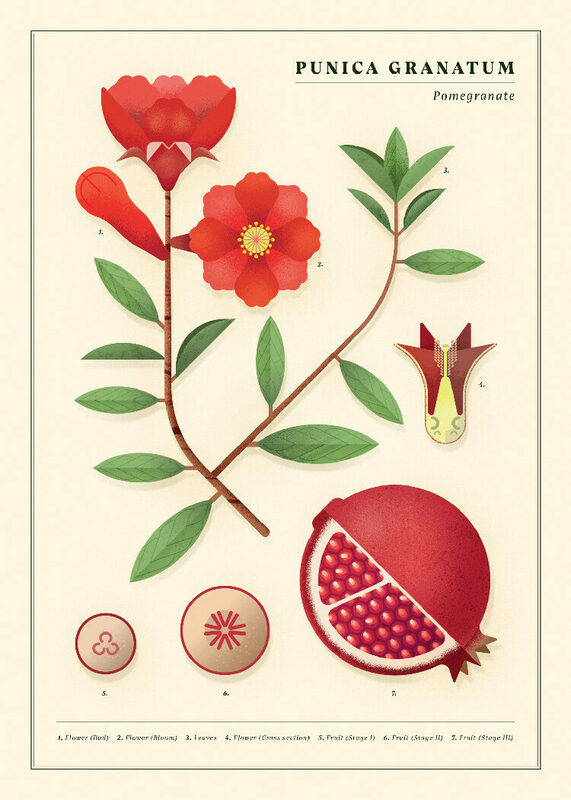 Or why not a kitchen poster with a pomegranate?